The Department of Trade and Industry briefed the Committee on the Strategic Overview of the Department of Trade and Industry Priorities; The Department of Trade and Industry’s 2014/15-2016/2017 Annual Performance Plan and the Legacy Report of the Department of Trade and Industry. The Minister of the Department of Trade and Industry Mr Rob Davis was present at the meeting and the Deputy Minister of the Department of Small Business Development, Ms Elizabeth Thabethe. The Committee was briefed on the Strategic Overview and priorities of the Department of Trade and Industry. The reasons for Industrialisation and the structural features of pre-crisis growth path in South Africa (SA) were explained. The Committee heard the Department of Trade and Industry’s 2014/15-2016/2017 Annual Performance Plan. The Strategic goals were outlined, one of which was to facilitate transformation of the economy to promote industrial development, investment, competitiveness and employment creation. Members asked about the role of the Department in reaching a speedy conclusion to the NUMSA strike; the role of the Department in opposing Eskom’s request for increased electricity tariffs; the requirements in the Mining Charter for 26% black ownership; interventions made with regard to regulatory bodies like the Companies and Intellectual Property Commission; how the new reporting lines of accountability would be structured; how the Minister intended to implement the new reporting lines of accountability; what mechanisms would ensure that regulators maintained their independence and how Co-operatives fitted into the portfolio of the Department. Supporting the development of black industrialists was a key area of concern as members wanted certainty that this process was on the agenda of the Department and a strategy to prevent the brain drain was already in place. Members heard that SMME programmes were all intended to move in that direction. 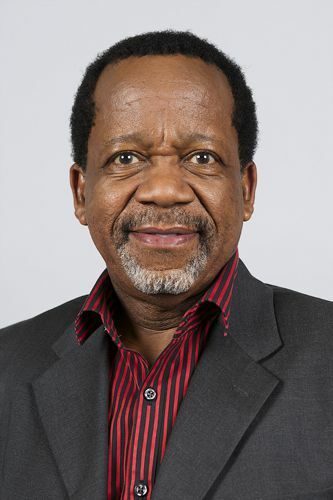 The Deputy Minister had been tasked to develop a strategy framework in this regard. Red tape reduction in Small Business was explained as only part of the broad scope of small business. The Department together with the Department of Co-operative Governance and Traditional Affairs had launched a red tape reduction programme particularly focused on municipalities. Members asked for clarity about Structural Economic Zones. It was explained that a large part of the increased budget would go to the SEZ programme. The Content Advisor presented the Legacy Report of the Fourth Parliament Portfolio Committee. The Minister of Trade and Industry Mr Rob Davies briefed the Committee on the strategic priorities of the Department of Trade and Industry. The reasons for industrialisation and the structural features of the pre-crisis growth path in South Africa (SA) were explained. The Industrial Policy Action Plan 2009-2014 illustrated more aggressive combatting of monopolies and was considered the shaper of all work of the Department. The challenges for the future were: the Department had not as yet placed the SA economy on a new growth path driven by productive sectors, higher “value addition” and industrialisation; the Department had had to anticipate hostile “head winds” from the still unresolved global crisis; the deep seated features of a “second machine age” reinforced inequality. The departmental imperatives were: the next phase had to ensure more radical measures to advance job creation, the reduction in poverty and inequality; industrialisation had to be a central objective and industrial policy had to be up scaled. To broaden participation the Department would remain with the B-BBEE Advisory Council focusing on promoting black industrialists. The Deputy Minister would lead the task team on this (see document). The Director-General Mr Lionel October noted the strategic goals of the Department: to facilitate the transformation of the economy to promote industrial development, investment, competitiveness and employment creation; to build mutually beneficial regional and global relations to advance South Africa’s trade, industrial policy and economic development objectives; to facilitate broad-based economic participation through targeted interventions to achieve more inclusive growth; to create a fair regulatory environment that enabled investment, trade and enterprise development in an equitable and socially responsible manner and to promote a professional, ethical, dynamic, competitive and customer-focused working environment that ensured effective and efficient service delivery. Mr October said that Eskom requests to industrial customers to reduce electricity consumption by 10% had a direct impact on production. The exchange rate had become volatile. Global recovery remained uneven with downside risks. The SA Foreign Direct Investment (FDI) doubled to $8bn in 2013. Domestic auto sector investment was at a record R8 billion. In conclusion the growth outlook for Africa remains positive and SA was well placed to continue exporting value-added manufactured goods to the continent (see document). 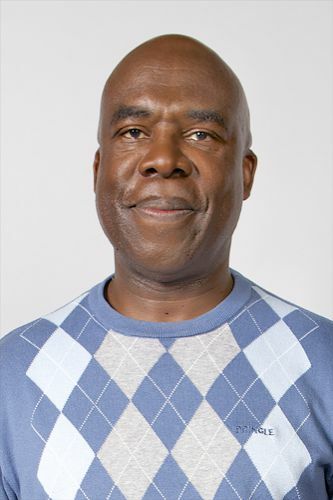 Mr G Hill-Lewis (DA) asked what role the Department was playing in reaching a speedy conclusion to the National Union of Mine Workers of South Africa (NUMSA) strike. The Minister said that the one of the problems with the platinum strike was its length. The Department had not been asked to play a role. If it did play a role, it would be lead by the Department of Labour. The Department, if asked to play a role would consider it but they were not experts in labour relations. It was important that all parties settled as soon as they could to ensure that the performance of the industrial economy moved ahead. Mr Hill-Lewis asked what role the Department was playing in opposing Eskom’s request for increased electricity tariffs. The Minister replied that there were two levels of problems that were related to quite a lot of infrastructural problems even at local municipal level. There were a lot of outages because of breakdowns in transmission services and lines. The Eskom tariff increases were considered just about bearable, and added to that there was municipal loading. The Department felt that one of things it had to do was insulate poor households and also try to ensure minimum disruption to production. It had a standard in place for energy efficiency. Energy efficiency and clean production were key elements for competitiveness around the world. The Department had to address the question of municipal charges as it could have a perverse effect and did not promote industrialisation. Mr Hill-Lewis asked what would happen with regard to the policy in the Mining Charter which required 26% black ownership of mines; and if the Department was liaising with the Department of Mineral Resources in this regard. The Minister replied that there was a need to engage fully on this issue. Mr D Macpherson (DA) asked what interventions had been made with regard to regulatory bodies like the Companies and Intellectual Property Commission (CIPC). The Minister replied that contentious matters were passed on to CIPC itself. CIPC had undergone a turnaround for the better. As part of a new approach a decision was taken to implement the new Companies Act and the new Commissioner had done good work in turning this institution around. It was not very difficult to register a new company now. There was a substantial reduction in red tape with regard to company registration. Mr Macpherson said that with regard to the Technology and Human Resources for Industry Programme, (THRIP) in the previous financial year it was supposed to support 1350 students. This target was not met by the third quarter. He asked what specific interventions were going to be made to ensure that the students involved in this programme actually came on board. The Director-General replied that this related to agentisation, managed for the Department by the National Research Foundation. This programme was being brought back into the Department so there would be direct control. This would ensure that programmes ran more effectively and were aligned to industrial research supporting students involved in matters like beneficiation and so forth. Mr Macpherson asked what budget allocations had been made for the new Special Economic Zones (SEZ), and how the Department planned to ensure that infrastructural concerns about Special Economic Zones were addressed. The Minister replied that the Director-General had spoken about this in his presentation. A large part of the increased budget would go to the SEZ programme. The Director-General said that the budget was required for the new infrastructure needed in the Zones. The budget for 2014/15 had R650 million allocated to the Special Economic Zones. R1.6 billion was allocated for 2025/16, and then there was a move to R1.8 billion. Special Economic Zones was going to be one of the major programmes. As for next outer years the Department would apply for an adjustment to increase the amount. Adv A Alberts (FF+) asked what the Department’s position was on an industrial economy versus the knowledge economy; and if there was a place for the knowledge economy in South Africa in terms of job creation. The Minister replied that a knowledge economy, if it meant that there was a higher level of knowledge in every aspect of the production process, was good and the way the Minister saw it as well. Society was moving towards high levels of conceptual capacity and fewer and fewer opportunities for ‘pick and shovel unskilled type of work. This was the way the world was moving, unfortunately people had to be up-skilled and there was therefore a very heavy on education and training because the industrial economy mattered. Adv Alberts referred to the red tape problem which South Africa experienced, if the Department was looking in the same direction as for example, Canada, was which had small business centres all over the country offering, among other things, free advice for small businesses, allowing companies to incorporate for free, offering advice on intellectual property, and providing financial assistance regarding registering companies. The Minister said that red tape reduction in small business was important, but it was only one part of it. The other part of it was to actively supporting small business. The Department then selected from its economic priorities those parts of the small business programme which it felt could have a higher impact in terms of creating productive real entrepreneurs. One of the programmes selected was the Incubator Programme. An incubator programme was where there was an environment where people started a business, and typically had access to some machinery, had access to some equipment, mentoring perhaps and some formal training. CIDA was rolling out these incubation programmes. The target was to double it and this was achieved. This was not enough because the Department actually wanted businesses to become more involved. An appeal was put out to every business organisation, and finally an Incubation Support programme was initiated. The Department provided a matching grant and these programmes were rolled out. This had to go along with the real change in the way that business operated in the country. One of ways that small business developed was not just by getting government contracts, but by getting a symbiotic relationship going between big and small companies around supply and development. This was encouraged through the use of BEE as a tool. 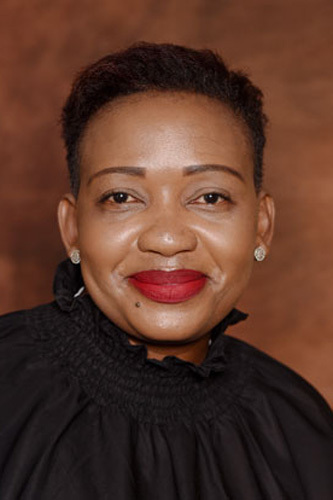 With regard to the red tape issue on its own, the Department, together with the Department of Cooperative Governance and Traditional Affairs (CoGTA), launched a red tape reduction programme particularly focused on municipalities. The rationale was that removing red tape was not the same as deregulation. Red tape was where one had unnecessary regulatory burdens. This was detrimental to small businesses with huge cost concerns. In the new legislation one had to accept an affidavit, and if it was thought that lies were being told one had to go to the Commissioner. Adv Alberts asked if the numbers given on growth or increases reflected non-agricultural employment, included employment created by the state itself. He asked if that employment was created by private industry. Was this linked causally to interventions by the Department? The Minister replied that implicit in the figures given for the European Union were a surge in agricultural imports, including processed food products in South Africa. One of the ways this was dealt with was to use the available policy space in terms of tariffs. It was done with chickens and with the Reference Price of sugar recently as both of those where vulnerable sectors. If uncompetitive behavior was evident, tariffs were re-looked at. Ms N Bhengu (ANC) Chairperson of the Portfolio Committee on Small Business Development thanked the Minister and the Director-General for a good presentation. The main intention of their presence here today was to get an understanding of what work had been done by the Department in the areas of Small Business Development as well as Co-operatives. This would provide information about what was planned for the Portfolio Commitment of Small Business Development. This would allow this Portfolio Committee to start engaging with the Minister and the Department in relation to the work and mandates given to them. The presentations had been listened to carefully and an understanding had been achieved. Mr B Mkongi (ANC), Portfolio Committee Small Business Development, asked the Department to explain what had triggered the policy shift and where it could take South Africa. The Director-General said that various measures were available to move onto a higher plane. There were several things such as the infrastructure programme, beneficiation, regional integration and more robust engagement with leading companies that were considered the triggers. Mr Mkongi asked how deliberately the Department was going to build the army of black industrialists in general, and African industrialists in particular. A strategy was needed to guard against the brain drain. Mr Mkongi asked what issues of Broad Based Economic Empowerment were going to be checked in order to support the development of black industrialists? 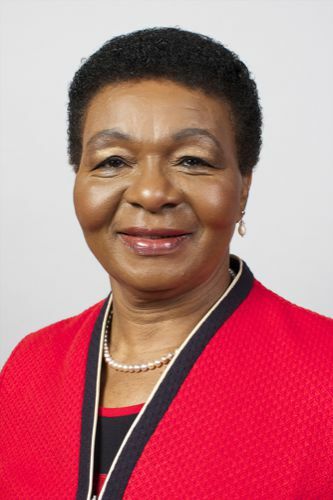 The Director-General replied that some of the BEE measures and SMME programs were all intended to move in that direction but there was a BEE Advisory Council which operated under the President, and the Department had also started a piece of work on black Industrialists. The Deputy Minister was given the task to develop a strategy framework on this issue. The Minister replied that Members had agreed with the Department that the industrial sector did not represent the demographics of the country. The question therefore was whether the tools of BEE could be used to make relevant changes. The Department had the Commissioner who would receive fronting complaints. Secondly, points could be earned for supply and development. This could be combined into a single category. Skills development was seen as fundamental and a sub-minimum needed to be scored there. Ownership was put in as well because BEE could be used as a tool as well as centres to get change in the relationship between big and small companies, and create more opportunities for people to become real entrepreneurs. That was the first thing they focused on in the last administration. The Director-General replied that the Department had identified six value chains for beneficiation. Action Plans were going to be developed for each one of them. The Budget allowed for R10 million for each subsector developed in clusters. The Department offered three areas of support, the Incubator Programme for Small Businesses, Cluster Support in the auto and clothing industry and at a high level, Special Economic Zones. Mr Mkongi asked what support was needed for localisation and the value-add approach. Mr F Shivambu (EFF) asked about the status of South Africa’s trade and tariff agreements, for example, what the country was bound to in terms of the World Trade Organisation agreements. He asked if the Department could give a sense of in what areas the country was more vulnerable and what strategic substitution it was engaged in to make sure that certain areas were protected. The Director-General replied that this issue was linked to what the Mr Shivambu had asked about regarding what was signed and not signed, and what limited the Department. With the World Trade Organisation there were two things that applied to localisation. The one was the Optional Protocol on Transparency in Government Procurement. This meant equal access to government procurement. As long as there were no signatures, there was freedom to take decisions when it came to public purchases to buy local goods. Dr Luyenge asked for more information about the role of communities. On how to engage closely with communities, especially business in townships, the Director-General replied that the Department would use the revitalisation of industrial areas as one of the mechanisms for that. Mr Shivambu said he did not know why the Ministry referred to the National Development Plan (NDP) as the basis for division because there was no cogent industrial policy action plan in the NDP. The Minister replied that the NDP defined the vision of the Department and this vision was perfectly compatible with industrial policy. The Department recognised industrial policy as a component of the medium term strategic framework. With regard to industrial inputs, Mr Shivambu said had heard about the minerals beneficiation action plan that the Department was saying there would be discussions with the Department of Mineral Resources about reducing platinum by 10%. This should not happen as it would not help to industrialise and beneficiate platinum because all the existing mining companies, especially in the platinum industry, were doing something called transfer pricing. They sold platinum to subsidiary companies in tax havens. He did not know why the Minister could not pursue a more aggressive industrial policy that was linked to existing state owned mining companies to extract platinum. This would allow industrialisation based on the minerals extracted. Mr Shivambu asked for more information about Agro-processing. The Minister replied that Agro-processing could make a very significant contribution to the drive in agriculture. The Department had a number of Agro-processing investments which it hoped to use to increase their agricultural inputs. The fact that they existed helped agricultural production; likewise there was a new technology that allowed for local production of high quality maize meal. The Director-General replied that the two areas where growth in industrialisation was evident were in agro-processing and the metal and engineering capital sector. The Department did have a substantial program in Agro-processing. It also worked with the Department of Agriculture and they had a draft Agricultural Action Plan with one million jobs as a target. This was a strategic sector. Regarding the decision to change governance structures of regulators with boards, Ms Tsopo asked what the rationale was behind this decision. With regard to de-agentisation and the need for a board, the Minister said that everyone was enjoined to act without fear or favour, but administratively there was no board. The Department had an institution like the Bureau of Standards. Ms Tsopo asked for clarity about the Department’s practice and stance regarding women and persons with disability. The Director-General replied that currently 44% of Women were in Senior Management positions in the Department. According to the Department of Labour, the Department was at the top end when compared to other government departments. 46.7% was the target attempted. The Department had strong targets for women. 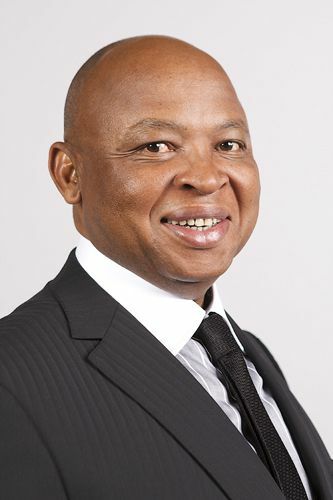 With the establishment of the Committee on Small Business Development, Mr X Mabasa (ANC) asked if co-operatives were still seen as a mechanism that ran across all departments irrespective of the establishment of the new Department. So if SEZ was spoken of, BBBEEE was central to effecting what would be co-operatives. The Director-General replied that the Department was developing incentive programmes for government procurement. It was also looking at access to markets not only for small businesses, but also even for black businesses in general. There would be strong co-operation especially with secondary co-operatives. It was not only for one Ministry to champion. The Minister said that in the legislation that came out, the defining feature of a co-operative was not whether it was big or small. What defined it, was that it was a collective enterprise. In Agro-processing in South Africa, many of the control boards were co-operatives. What defines it was a collective enterprise. A Co-operative Focus Programme was needed. The legislation that went through established a Co-operative Development Agency and a Co-operative Tribunal to deal with disputes. With higher education there was a series of co-operative academies. Ms Margot Herling, Committee Content Advisor, presented the Legacy Report of the Portfolio Committee on Trade and Industry (DTI). The mandate, key stakeholders, and key oversight considerations were noted and more importantly the Legacy Report identified the key areas for future work, key challenges emerging, and recommendations for the Fifth Parliament Committee (see document). The Chairperson noted that effectively 44 pieces of legislation fell under the DTI and currently five of them would be shifting to Small Business Development Portfolio Committee. Ms M Tsopo (ANC) asked what mechanism Government was employing to support beneficiation and industrialisation. What was required for those strategies to be successfully implemented in relation to transport infrastructure, lower administrative costs and skilled labour. What strategies were in place to ensure that these elements were available and the impact of existing challenges were minimised. Some of the challenges highlighted by Members were inadequate electricity supply and cost; lengthy strikes and labour unrest. She asked how the new reporting and lines of accountability would be structured and how the Minister intended to implement this change. What mechanisms would ensure that Regulators maintained their independence.